Double Click on the file and click "Run"
Follow the prompts and accept the ULA. 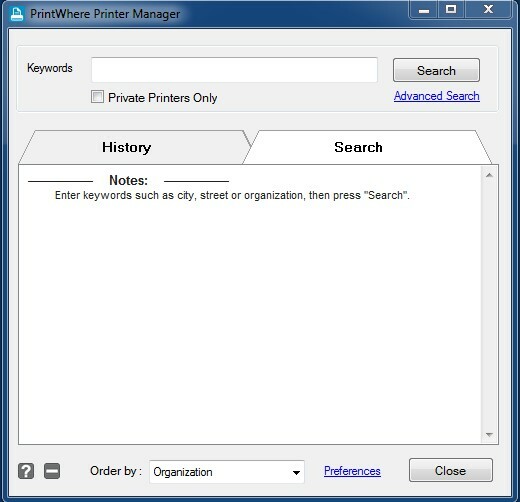 Once installed open the PrintWhere manager from the Desktop icon. 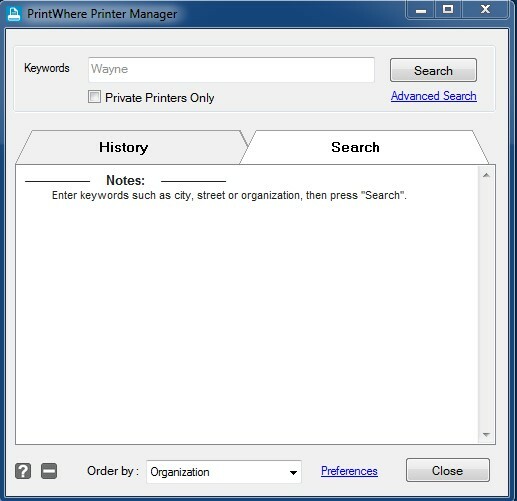 This window will allow you to connect to Wayne Main and Preakness printers or any printer listed with the PrinterOn service. 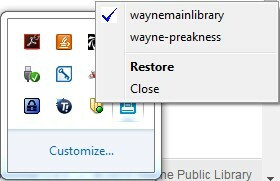 Type Wayne in the search field and click search. Scroll down and select a printer by clicking on the description, then press "OK"
Confirm Printer Selection by clicking "Select" or press cancel to choose another printer. Your printer will be added to you available printers. You may want to check and set the default printer. When you want to print to the library printstation just choose the "Printware 4.7" printer. Install a second printer by following the steps above again. 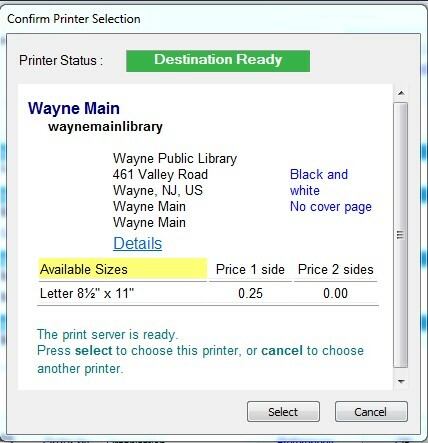 Select which library the PrintWare 4.7 printer prints to by selecting it from the tray icon prior to printing to the "PrintWare 4.7 Printer".